Whether you have visited Boss Dental Care in Corpus Christi, TX to learn your options in cosmetic dentistry or to find out a bit more about the orthodontics solutions available, we encourage you to discover something about the innovative treatment known as ClearCorrect. These ClearCorrect FAQs present key details and help you to learn if this is the right answer for you. Are they just clear braces? As your trusted dentist in Corpus Christi, we can assure you that using ClearCorrect is nothing like standard braces. This system does not use brackets bonded to the teeth but is, instead a series of transparent aligner trays that fit discreetly over the teeth. 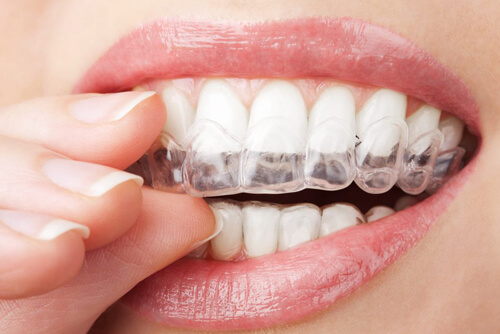 They are made by a ClearCorrect specialist and offer an entirely customized method for correcting dental alignment and bite. This is one of the more important of the ClearCorrect FAQs because it helps you to understand that this system can be just as effective as classic braces, adjusting a variety of spacing and bite issues. Another of the most important ClearCorrect FAQs is this one. While you may have tenderness in the days immediately after you begin to use the aligners, the process itself is very comfortable. The trays are worn 22 hours a day, coming out for oral hygiene, eating and drinking anything other than water. You can easily sleep with them, and your speech and appearance are not altered in any way. How fast is correction achieved? Another important question, and unfortunately there is no set answer. Some see changes in as little as six months and some wear aligners for up to a year or more. It is all going to depend on the level of correction needed, and the complexity of your dental issues. Did these ClearCorrect FAQs answer your concerns? If not, feel free to give us a call at our Corpus Christi, TX office at 361-245-5400. You can also use our online contact form and one of our staff will get back to you promptly.